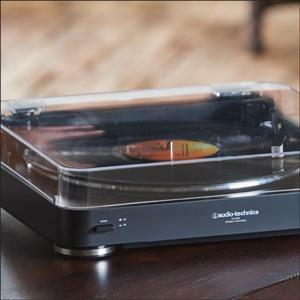 Fully automatic belt-drive turntable operation with two speeds: 33-1/3, 45 RPM Anti-resonance, die-cast aluminum platter Integral Dual MagnetTM phono cartridge with replaceable diamond stylus Built-in switchable phono pre-amplifier with RCA output cables to connect to audio systems and powered speakers Includes: Two output adapter cables (dual RCA female to mini-plug male & dual RCA female to mini-plug female), 45 RPM adapter, Removable hinged dust cover Rediscover your classic 33-1/3 and 45 RPM records on this affordable, fully automatic belt-drive turntable With its built-in switchable phono preamp, the AT-LP60 may be connected directly to your computer, home stereo, powered speakers and other components that have no dedicated turntable input The turntable is supplied with an integral Audio-Technica Dual MagnetTM phono cartridge with replaceable stylus LP60 Stereo Record Player. 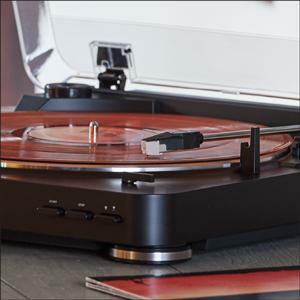 Rediscover your classic 33-1/3 and 45 RPM records on this affordable, fully automatic belt-drive turntable. 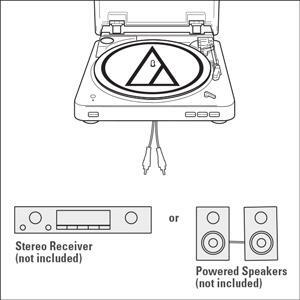 With its built-in switchable phono preamp, the AT-LP60 may be connected directly to your computer, home stereo, powered speakers and other components that have no dedicated turntable input. 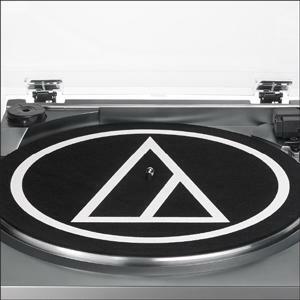 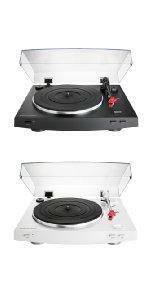 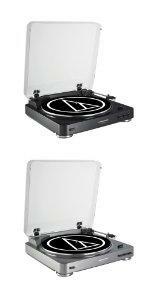 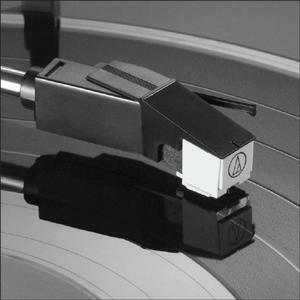 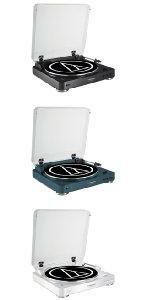 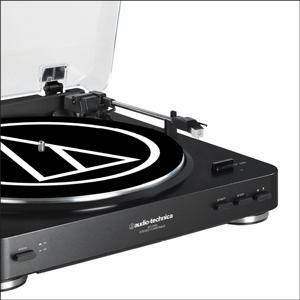 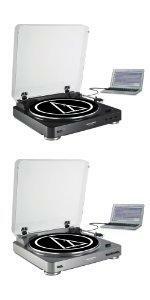 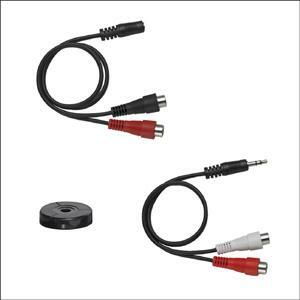 The turntable is supplied with an integral Audio-Technica Dual MagnetTM phono cartridge with replaceable stylus.